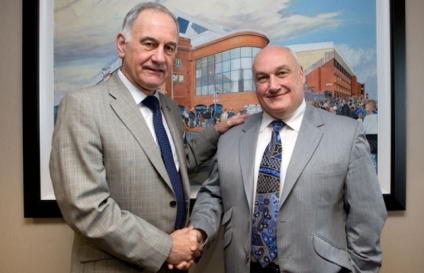 The Scottish club announced Traynor’s appointment on Saturday, stating that he will ‘be head of media and oversee the development of all media platforms including Rangers TV, digital, online and print publications’. Traynor’s appointment will take effect from early next year. He joins Rangers after media career including spells at The Herald, Express and Daily Record newspapers, as well as being a presenter with the BBC. The club’s comms will continue to be supported by Media House International, which handles a media relations brief following its appointment last July. The Glasgow club announced in October that it intends to float on the AIM market of the London Stock Exchange. Newgate Threadneedle is handling the IPO and all ongoing financial PR in a retained brief. Rangers have won the Scottish league championship 54 times, more than any other club. However, the team currently play in the Scottish Third Division after Scottish Football League clubs voted for Rangers to play in the third tier following a period of administration and liquidation of the old company.